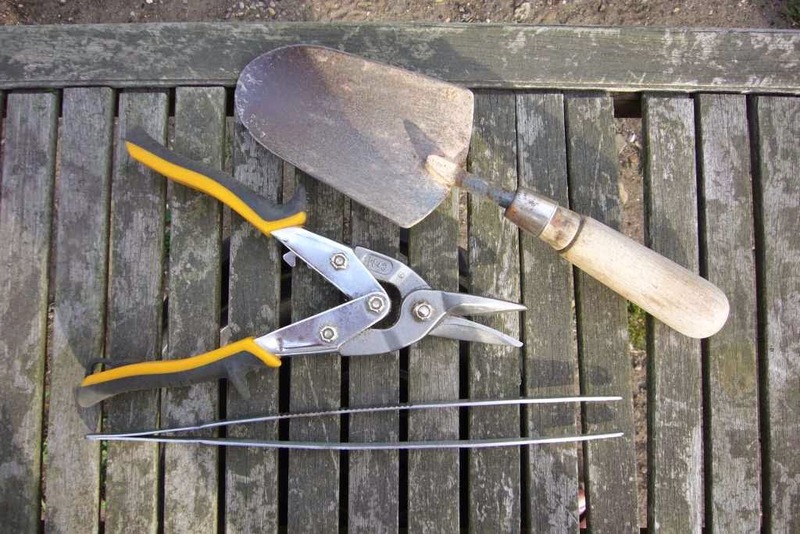 In a blatant spin-off from Dangers Gardens "My favourite plant this week", which is excellent for those that have not seen it (The latest post can be found here), my favourite tools this week are giant tweezers and tin snips. Shown in the photo below with a standard trowel for size. The giant tweezers look like a joke but are perfect for fishing leaves out of those hard to reach agave and yucca crowns. The tin snips, usually used for cutting thin metal sheet, turn out to be perfect for trimming dead leaves off yuccas and dasylirions. I must admit to being in the "no skirt" group. Before you get too concerned this is just a term used to describe the ring of dead/old leaves that hang down around the trunk forming a skirt. Some people think the plants look better in this more natural state, for me though they have to go. Getting in to trim them off you need something with enough power to cut through the fibrous leaves but precise enough to get a good clean look. Secateurs are often not strong enough, and sheers are messy. The tin snips made light work of a dasylirion serratifolium and I'm amazed I never thought of using them before. As it happens dasylirion serratifolium would be my favourite plant in the garden this week. It has been in a pot since I got it, and really needs to get into the soil as it must be chronically root bound by now. It copes with London winters unprotected without any problems at all, and apart from having to watch the serrated leaves needs no care at all. Pop over to Loree's Danger Garden blog to see what others have selected as their favourite plants. I love your variation on the theme and also have a pair of long tweezers that are indispensable. I've never tried tin snips but now I just might, thank you! 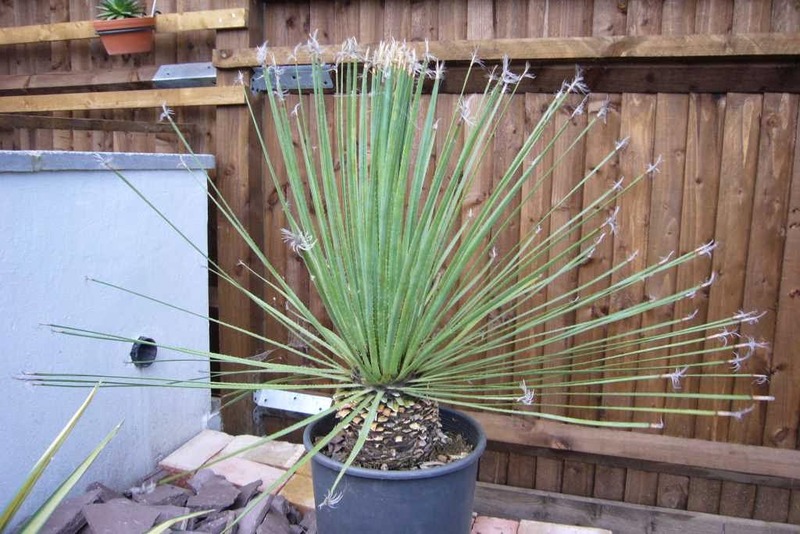 I think you will like tin snips they need a lot less pressure than secateurs and make like work of things like dead yucca leaves.